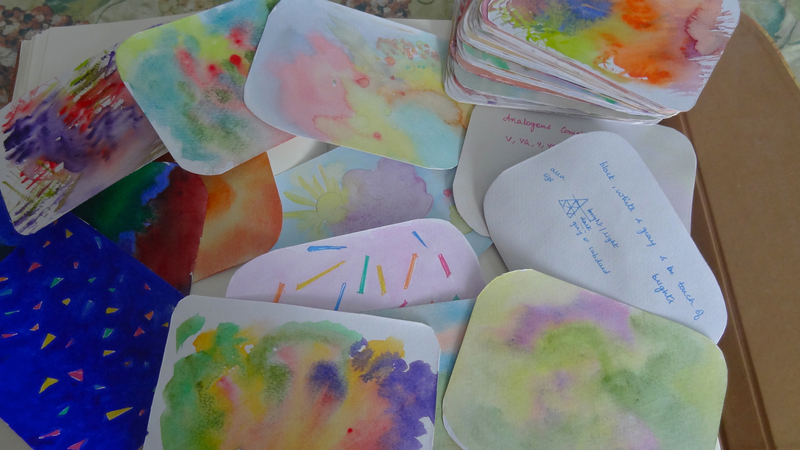 Doing these reminded me of some some color cards I made a while back, as suggested by Nita Leland in her book. I started off with the usual color schemes, complementary , triads, tetrads etc., and keep adding to them whenever I find something new. 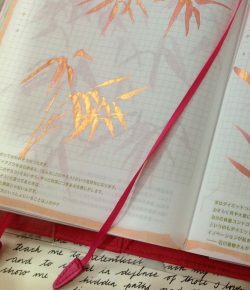 Notes can be written at the back, of the colors used etc. Its a useful and fun exercise, it makes you think of hue/value combinations and keeps your eye sensitive to colors outside. And of course, serve as references for future projects and paintings. Tetradic color schemes have a rectangular or quadratic relationship amongst the chosen colors. These schemes are quite lavish for now you have four colors to play around with but a little care must be taken in design to unite all of them together into a harmonious whole. The split complementary tetrad (white and red rectangles in the above wheel form two examples) consists of two colors one space apart from each other and both their complements. In the white rectangle, the complements of red and orange are green and blue, so the scheme consists of red, orange, green and blue. These two pairs lie, naturally, on opposite sides of the wheel, one pair being warm and the other cool. Make one, either the warm or cool pair more dominant than the other. This can be done by using more of one in terms of area but also in other ways…. e.g pure, strident hues (they stand out) against subdued or grayed colors or using hue or value contrast. The adjacent complementary (yellow rectangle in the wheel above) tetrad consists of two adjacent colors along with their complements. This gives the most harmonious results amongst the three tetradic schemes because of the colors lying next to each other but still gives some movement (some zing!) as compared to the analogous scheme because it includes colors lying on the opposite side of the wheel. In this painting “whispers”, I`ve used red, red-violet, green and yellow-green (though the red is a cool red, schminke magenta). The square tetrad or the cross complementary tetrad (the small violet square in the color wheel) consists of four colors equidistant on the color wheel, each spaced two colors apart from each other. Again, these are two pairs of complements. This forms the most striking and dynamic of all schemes as the colors are, so to say, thrown as far apart as possible from each other. In this example, I`ve used red-orange, yellow, blue-green and violet. Monochromatic scheme – This scheme uses only one hue in its different values i.e. in all its tints, tones and shades. Achromatic scheme – An example would be artwork done in graphite. It is called achromatic because it is not in color. Adding slight hints of colors gives some variations to this theme. Neutral scheme – consists of neutral or near neutral hues like browns, beiges, grays..
A complementary color scheme (indicated by the blue line on the chart) consists of hues that are opposite on the hue wheel. For e.g: yellow and violet, blue and orange, blue-green and red-orange… you can make six pairs this way. They are farthest apart on the wheel and create dynamic contrast. Their temperatures will be opposite. When viewed next to each other, they enhance each other and create a vibratory effect. This scheme needs to be used with some care, else it can look a bit jarring. Try making one hue more dominant than the other to create harmony. The two hues used in tints, tones and shades as well as a combination of themselves and with neutrals can make an array of colors and need not be limiting. A split- complementary color scheme consists of a hue and hues on either side of the complement, excluding the complement itself. For e.g: red, blue-green and yellow-green or blue, red-orange and yellow-orange or blue-violet, orange and yellow. An analogous-complementary scheme (indicated by the orange line on the chart) consists of three analogous hues and the hue opposite it. For e.g: Red with blue-green,green and yellow-green. Use the complement as an accent color rather than let both sides of the wheel vie for attention. The split and analogous complementary schemes are often times more pleasing than a pure complementary scheme. In nature, you can see these sets in the pale-yellow deep-violet of some iris or sunset skies; blue orange in bird-of-paradise or autumn maple leaves against a blue sky; pale red-violet pale yellow-green of young ornamental cabbage… Red-green is very common in nature, I`ve used it here in this painting of Geraniums. Raw sienna is the almost neutral accent color, though its not seen in the photo. Blue is a masculine hue and is the darkest of all hues, it has reserves of strength, but the energy is static and oppposite to the dynamic energy of red. It projects authority, responsibility, grace of strength, dignity. It is calming and induces meditation. Blue mixed with the active energy of red forms violet which is a spiritual hue representing the Third eye. Blue-violet, has less of the red and stands for intuition. Red-violet gives inspiration. Green is the color of nature, of eternal spring. It is restful to the eye and is both a warm and cool color. Blue-green is the most healing of all colors. Pale blue is a restful color, ideal for bedrooms. Mauve is a tone of violet; it is reserved and retiring and can be used in a subdued color scheme. Color plays an important role in most visual arts, graphic design, interior decor, clothing, packaging…… almost in every area of our life. Knowledge of color will help you in making the right choices for expressing yourself and making a statement with your artwork. Each hue has a symbolic meaning and evokes an emotional response in us, so it follows that different combinations of hues can be made to express subtly or dramatically varied nuances of emotions. Red stands for energy, courage, passion, drive, power and is attention grabbing. If a bold effect is what you are after, then make red your dominant color. Yellow denotes openness, optimism, hope, happiness, sincerity, honesty, energy. It stimulates the intellect and communication. It is the lightest of all hues, yet in its high chroma form it attracts the most attention and advances towards the viewer. Orange combines the passion of red with the openness of yellow making this a warm and friendly hue. It has outgoing, sociable qualities to it. Red-Orange combines the energy and passion of red with a hint of the joy and openness of yellow making it an exuberant color that exudes innocent youth. Yellow-Orange on the other hand, combines the honest, open and communicative nature of yellow with just a hint of the energy of the red to make it a welcoming hue. Orange again has more of red, so is more outgoing and sociable. White speaks of innocence, purity, peace and truth. Black has a grounding quality to it. 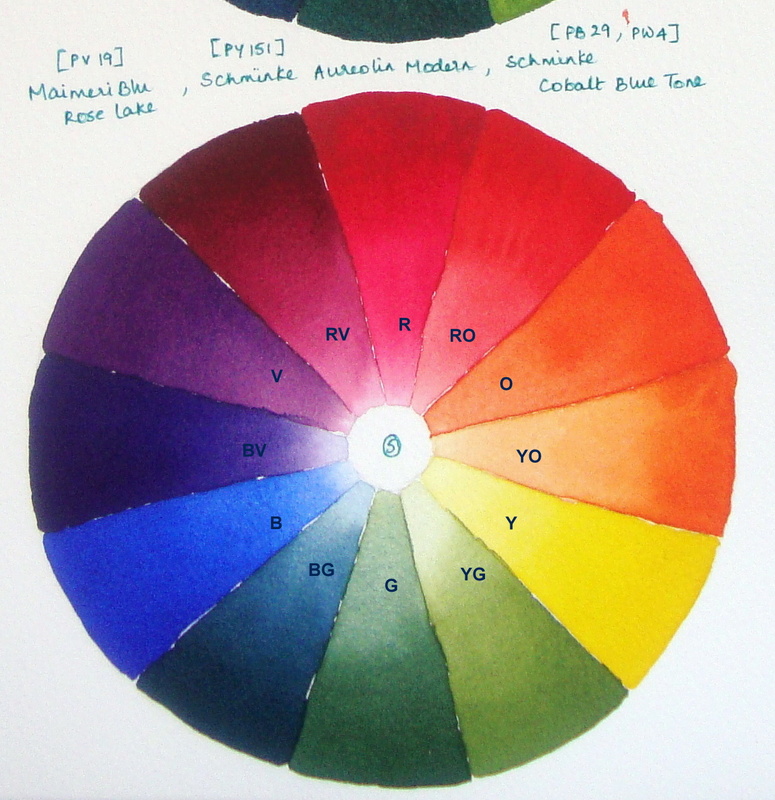 Here`s the RYB color wheel again where I have marked the primary (R,Y,B); secondary (O,G,V) and tertiary (RO,YO,YG,BG,BV,RV) colors. Lets begin our color odyssey with one of the basic color schemes – an analogous color scheme. 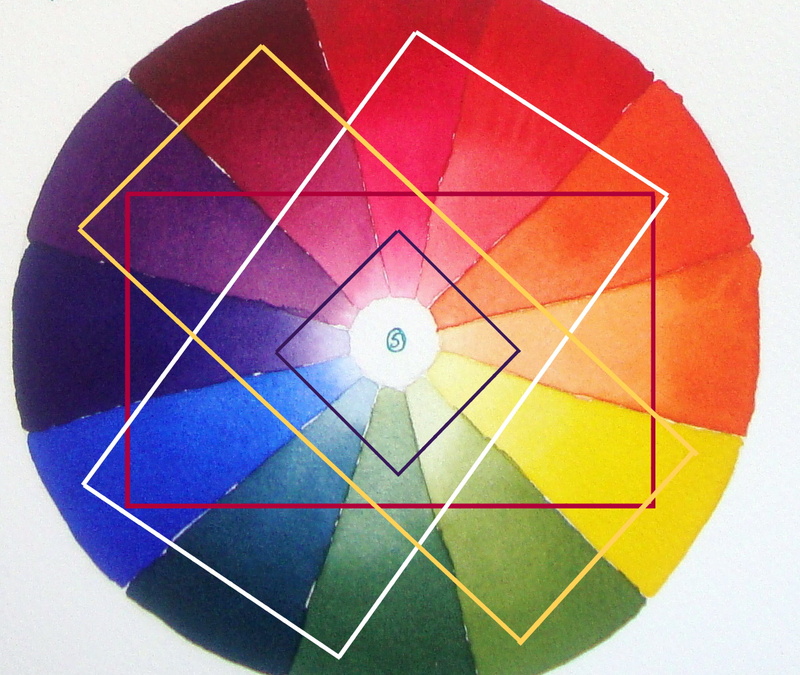 Any three or four adjacent hues on the color wheel make up the analogous hues. For example, violet, red-violet and red. Analogous colors have a harmonious and pleasing effect on the eye. This one is made from magenta, red-violets, violets and a bit of blue-violet. 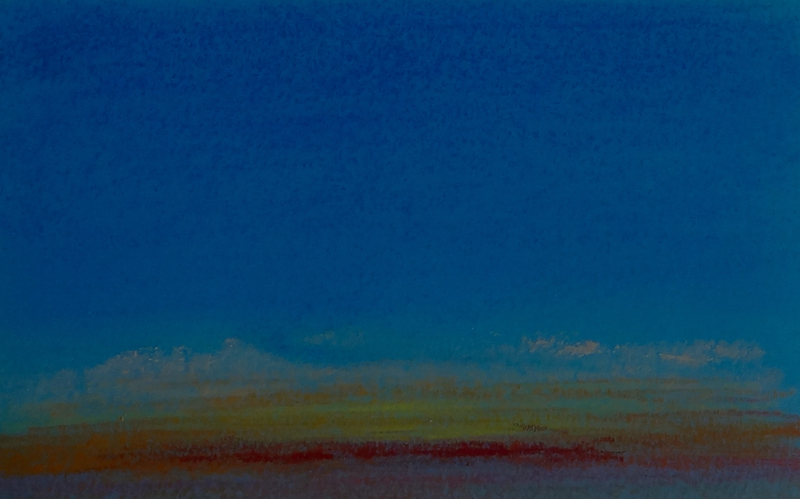 It looks more subdued because of the darker values that blue brings. Pink is a tint of cool red (a tint of a warm red tends towards a peachy color not a pink). 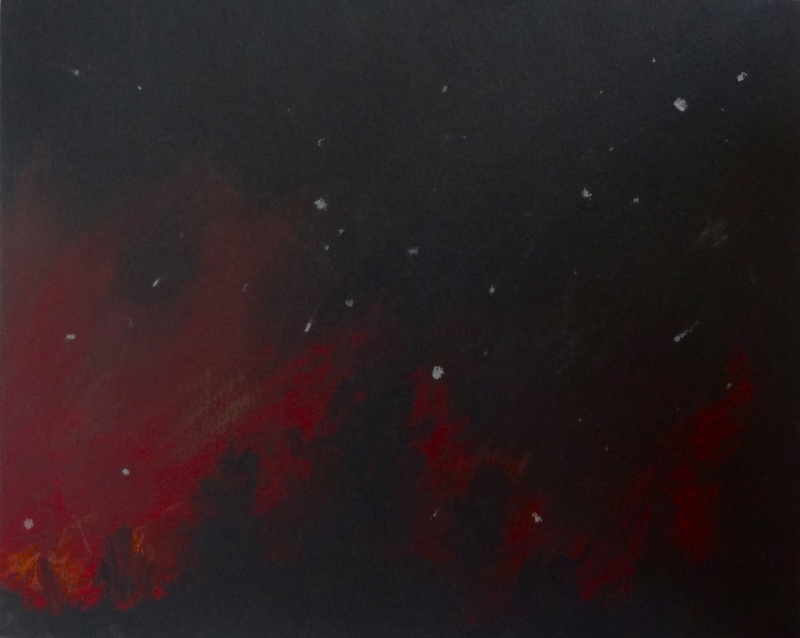 Red, when combined with the peaceful effect of white, is calmed down, becomes sweeter. It is definitely what can be called a feminine color and is the basis of a romantic color scheme. You can combine different strengths of pinks with white or soft violets. Pale yellows and green-yellows can be be used for accent. In fact, any color next to pink works well for romantic as along as they are of very light values. Peach is the pale, lovely tint of orange. It is calm and has an air of understated elegance, without any reserve to it. A pale yellow is central to an elegant color scheme. It has some restraint to it (unlike peach) because it does not have any red in it. It has expansive qualities to it – a room with walls painted in this hue will appear larger than a room with walls painted in red. A living room with pale yellows, creams and the softest of beiges projects restraint, elegance, clarity, grace, intelligence and ease. In places where a white would seem too striking a contrast, a pale yellow would fit right in, also imparting a warmth and softness. You would barely notice the color but it gives a subtle glow to a painting or a room. At the opposite end, these hues enriched with black project different qualities. Deep reds, maroons, mustard yellows and earthy orange browns are richer and more laid back than the strident pure hues. In painting, these are very useful for intensity contrast. Adding neutral colors like grays and beiges expands this palette even more. They serve as a place of rest for the eye in between other pure colors, be it in art or interior decor. I`ll go into the cooler colors in another post, until then, be creative and have fun!